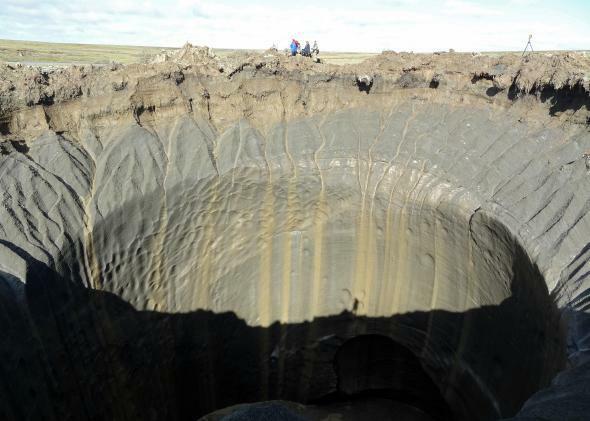 Exploding methane holes in Siberia linked to climate change. Is Alaska next? One of the dozens of newly discovered craters on the Yamal Peninsula in northern Siberia, as seen on August 25, 2014.